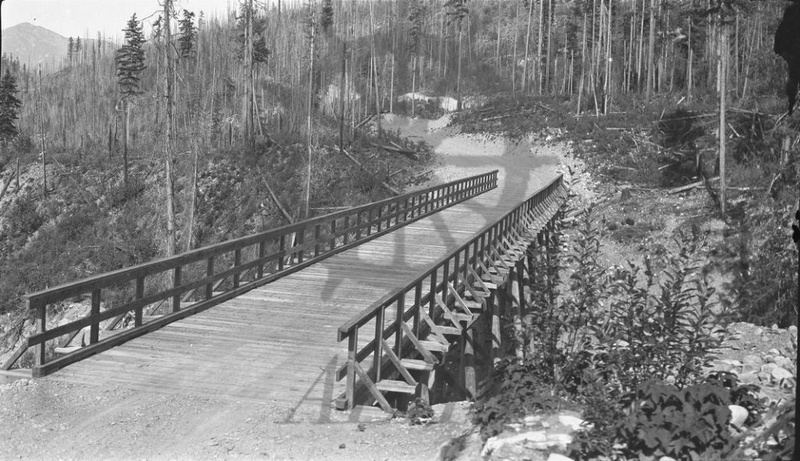 Newly-constructed bridge across Dog Creek, future Highway 6 between Crescent Bay and East Demars, ca. 1920s. This may be taken during Charlie Slade's time working on road crew, ca. 1926-1927.